Twitter benefitted from a rise in its stock price when rumors began circulating that Google was thinking of purchasing the social network. The increase was about 4% and this isn’t the first time this has happened. There were some reports that were revealed, which indicated that Goldman Sachs had been hired by the social network in order to fend off two takeover attempts. One of these attempts was reportedly by Google Inc. The rumors remained unconfirmed and Twitter didn’t comment on them, but they did give its share price a good boost. This situation is not exactly new because it also happened in January. Even then, there had been unsubstantiated speculation that the search engine giant was planning to purchase Twitter, which had led to a rise in stock price of about 3.3% for the social network. Furthermore, even this wasn’t the first time that rumors had highlighted Google’s interest in getting its hand on the 140 character platform. While Twitter made its way to the stock exchange in November 2013, there had been rumors circulating in February 2011 that Facebook, Google and several other companies had conducted takeover talks with Twitter, which had included a substantial sum of $10 billion. Also, in 2009, the rumor mill indicated that Google had been in last stages of negotiations and talks for acquiring Twitter for a sum of $250 million, after Twitter had turned down the advances of Facebook, but no agreement had been reached. Now, the situation has changed considerably and large sums of money would be needed for making this deal. The value of Twitter is somewhere near the region of $33 billion and $34 billion. Revenues of about $1 billion are generated by the company. In addition, the number of active users is around 288 million who send about 500 tweets every day and 80% of them are active on mobile devices. The latter statistic can prove to be a highly lucrative advertising opportunity for the likes of Google. However, in order to purchase the social network now, the Mountain View, California Company would have to pay a healthy premium above the current valuation of Twitter. The cash stockpile of the firm is about $60 billion, but it is considerably less than $90 billion of Microsoft and $178 billion held by Apple Inc. Also, like most of the tech companies, the firm’s stockpile is outside the US in Asian, European and other countries where it operates. A chunk of that cash will have to be repatriated by Google if it wishes to purchase Twitter, which would require the company to pay cash on it. This could reduce its maximum cash buying power. But, the company doesn’t have to use just cash for making the purchase. 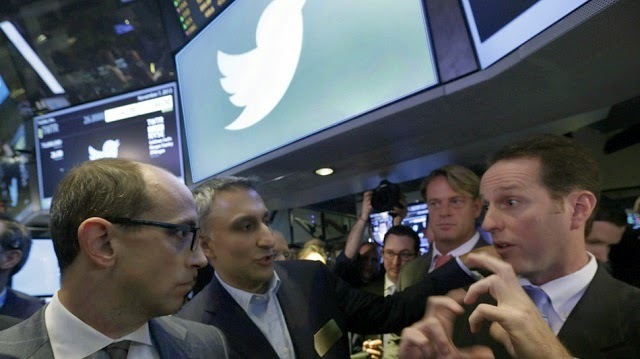 Like recent acquisitions made by Facebook, Google can choose to snap up Twitter with a mixture of stock and cash. The current value of the search engine giant is about $360 billion. Cofounders of Twitter also have history with Google, but it is unknown if Google will acquire Twitter.